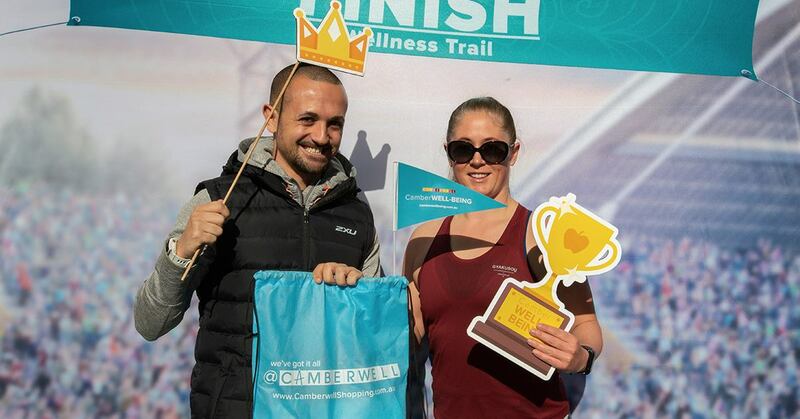 On Saturday, May 26 I took part in the CamberWELL-BEING Wellness Trail discovering what Camberwell has to offer in the way of health and wellness. Mark and I began the day by checking in at Wellness HQ, where we collected our Wellness Passport and headed off on the Wellness Trail to explore a range of health and wellness businesses in the area. We also received our official CamberWELL-BEING tote bag filled with goodies. First stop was Vision Personal Training where we got a complimentary Bioscan. I was somewhat mortified with my results given I had one only a month ago and I've been training like a mad woman. Putting my bruised ego aside, I do want to sai the team there were incredibly friendly and even though I don't need to train there I now know that for a small fee I can get regular scans there. There were just under 20 businesses that took part in the event and it was difficult to visit all of them in the 3 hours. However the event gave us a great opporunity to experience trial fitness classes, free wellness treatments, health food samples, educational talks and more. Core+ and having a personal tour of the facilities and a sample of what a class is like. Life Read Physio + Pilates and receiving special introductory offers and being given a tour of the facilities (I currently go hear for Remedial Massage treatment). Ella Bache for a complimentary hand and arm massage and exfoliation. Vision Personal Training for a Bioscan. For a little extra incentive everyone who took part in the Wellness Trail were encouraged to visit five or more businesses listed on the trail, get their Wellness Passport stamped at each location, and report back to Wellness HQ to go in the draw to win from a prize pool valued at more than $5000. I have my fingers crossed that I win something. We ended up visiting a total of 12 businesses. This is the second time the event has been run and I think it is a great way for members of the community to learn about what offerings there are for health and wellness in Camberwell. I came across quite a few businesses I was unaware existed and am now interested in possibly visiting in the near future.